The Arab, Egyptian people began migrating to North America in the late 1960’s, with the majority being from a Muslim background. Prior to 1965, the majority of Arab Egyptians were from Christian background. Although often university educated, many Arab Egyptian initially became taxi drivers and worked in restuarants. They value higher education. Therefore, they often enroll in prestigious and high ranking colleges and universities. Although the religious background of most Egyptians is Islamic, the role of women in the culture has become more prominent since World Wars I and II. Many women will not wear a hijab, or covering, but will dress as many other women while at the same time still dressing very modest and conservative. It is very common for Egyptian women to have jobs. Some women work in the food industry while others work in the medical field. 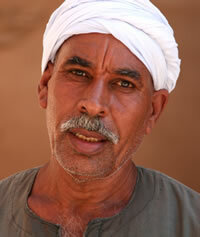 Pray that God would open the eyes of Arab, Egyptians to the truth of the Gospel. Pray that evangelical Christians will rise up to reach the Arab, Egyptians. Pray that Christians and Churches will encounter and reach the Arab, Egyptians in their area. Displaying 1-30 of 51 results.